Wardens Trust was originally founded in 1988 by Elspeth and Richard Gimson, as a “not for profit” Charitable Company to provide a range of services for disabled children and young adults - by offering a range of activities and experiences in a safe and spectacular environment - to help develop and enhance their confidence in life - and at the same time provide a lot of fun. 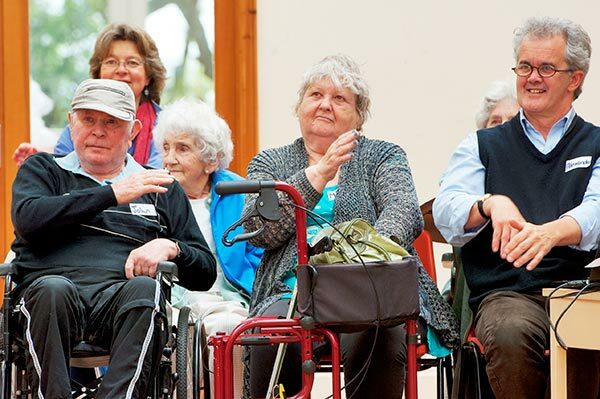 Over the years Its services have been developed and expanded now to include a number of activities and facilities for the elderly, ranging from weekly bathing days, special social events and monthly music days orientated towards those with dementia - and much more. Overlooking the North Sea, our cliff top site means the beach is instantly accessible, in addition to the 4.5 acres of woodland surrounding the Hall. Finding us is easy, too. From the A12 take the turning for Saxmundham. From Saxmundham travel to Leiston and then follow the road to Sizewell. 600m before Sizewell take the right turn to Sizewell Hall. Pass the entrance to Sizewell Hall on the left and then take the right track straight ahead. You’ll then be on a rough track and be able to follow the signs for Wardens.